This vehicle is currently in stock at Lamborghini Tunbridge Wells and can be purchased from Bentley Tunbridge Wells. You chose Bentley Tunbridge Wells. Bold, innovative, forward-thinking and able to level with the class best, this XE has proved to be the most credible Jaguar sports saloon we've seen since the Sixties. It chases bigger sales but unlike some of its predecessors, hasn't diluted crucial elements of brand credibility. On the contrary, it's a model company founder Sir William Lyons might have been proud of. He sought to make cars that made their owners feel 'alive' and the objective of this one is exactly that. Failings are few. Yes, buyers will lack a little when it comes to boot space and some may find selected areas of the styling approach to be slightly conservative. There's nothing wrong with the fundamentals of this design though and the aluminium underpinnings that lie beneath that taut bodywork are pretty sophisticated. Potential business buyers will also note that in important areas like safety, connectivity and residual values, this car is difficult to better in its class, plus they'll also struggle to improve upon this model's diesel efficiency figures, thanks to Jaguar's impressively clean and frugal Ingenium technology. Yes, there's tough competition in the BMW 3 Series-sector. But this improved XE looks better set to size up to it. This is my second XE, and I am loving the new sat nav system, so much more informative than the previous. Also, the new Jaguar engine seems to be smoother and have a bit more torque than the old Ford engine. All in all loving it, especially the Caesium Blue colour. 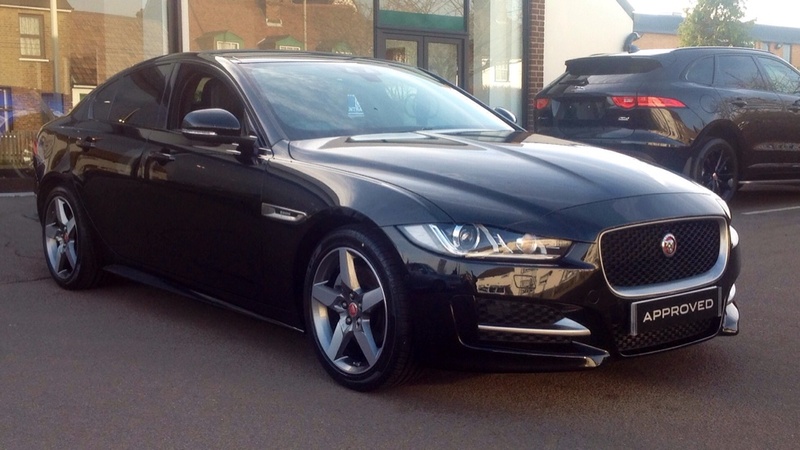 After owning the old X-Type for 7 years, we thought we we would try the XE and XF. Both cars were 2.0 diesel automatics but each with a very distinctive drive. The XF, in my opinion, is a great car for motorways but for country lanes and B roads the XE was a more exciting drive, especially in the sports mode. We decided on the XE and so far we are really pleased with our choice. I would recommend this car to anyone who's looking for a compact luxury car that has the latest technology, great to drive, first class looks and very economical. As I expected for a Jaguar car, the XE is a pleasure to drive, in comfort and dashboard layout. The only downside is that the vehicle does not have front parking sensors, however, the salesperson stated that he will arrange to have them fitted, once that is completed the vehicle will be perfect. My XE is an amazing car - technology is far and above expected. R-Sport model very responsive and the quality of the interior is excellent. This car is a luxury and a revelation to drive. So much of a drivers needs from a car have been anticipated and considered, therefore driving this car is not only a delight it negates worries about driving conditions and has made driving even more interesting and fun. The performance is smooth, efficient and effortless. Yet it has the capacity and responsiveness to move rapidly when required. It is a car to feel safer in when travelling. The car also brings style into the whole experience. The look of the car is so attractive. The quality of fittings, the feel of the materials, the consideration of various textures and shades all combine to enable the ambiance of the cabin to be most pleasing. The respect the car elicits from road users and passers by including our neighbours is noticeable. In conclusion the whole experience has been a noteworthy event for us and one which will continue for much longer as the car continues to give enjoyment and interest daily. The XE 2 litre petrol Prestige is an exciting version of the new Jaguar range. Well equipped and a 'sporty' drive for a luxury car. Economical too! Recommended. I have purchased a Jaguar XE. It has an excellent engine. The road handling is superb, as is the acceleration. The comfort is as always with any Jaguar. Internally the finish is second to none. I have had Jaguars for many years and as always I am very impressed by this model. Fabulous all round luxury. Only limited mileage so far but first impressions are very good. Comfortable and pleasant to drive. Excellent, very pleased, top car. My Jaguar XE is the third car in succession I have bought new from Grange Jaguar. The car is fantastic. My wife feels more comfortable driving this after the XF which she found too long. The drive and performance is super. It is full of many extras which makes driving the car a pleasure. It is also comforting to have the peace of mind you get from the backup provided by Grange. Love the XE Portfolio. As many bells and whistles as you could wish, except -minor quibble- fitting electric seats without a memory option and electric wing mirrors without auto-storage seems unnecessarily parsimonious. I owned an XF, it was a special car. However, although I loved my XF, I decided to change it for an XE Portfolio with the 200bhp Ingenium petrol engine. The XE is smaller and this suited my wife and I. At the time of writing, I am still 'running in' the XE, but is already giving signs of the power and acceleration that I shall be able to use when I can press the loud pedal harder. More importantly, it is fully living up to all the press reviews written, without exception, that the XE is truly a driver's car. On good A and B class roads the handling is sure footed and positive and driving it continues to keep a smile on my face that I had come to expect from driving a Jaguar. I have the InControl Plus infotainment package and the multi media and satnav systems are superb. There are many more bells and whistles to learn and master. I am very pleased with my new XE, it ticks all the boxes it is truly a driver's car and above all, it's a Jaguar. I purchased a Jaguar XE R-Sport after many years owning a BMW. Happy with the car, the engine and automatic gearbox is very smooth and the details of the interior excellent. So far all is ok.
Everything I hoped for and wanted, very comfortable and smooth drive. Only negative is the inability to fold the rear seats to increase boot size. 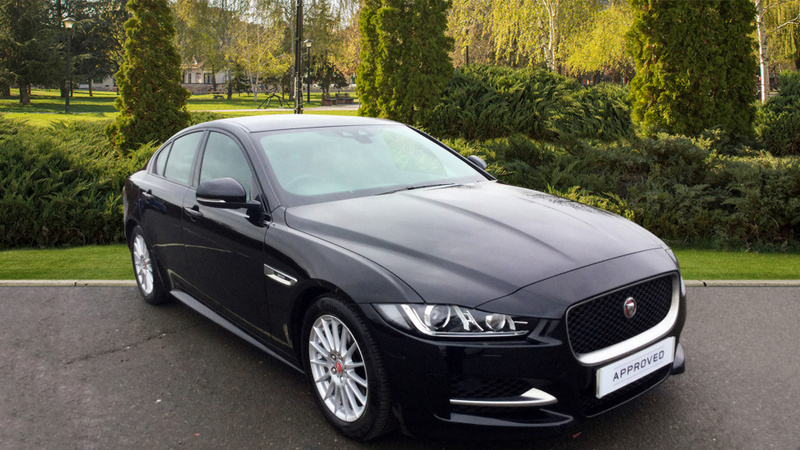 I purchased a Jaguar XE R Sport in February 2017, and was delighted from the very first sight I had of it. At the time, it was still in its raw form, that is to say it had just been delivered to the garage from the manufacturer, but one could see its magnificent lines and its potential to please. Having taken delivery a few days later, we set out to see what the performance was like and of course to check out some of the extras I had put on the basic specification, and I am pleased to say it performed and delivered far more than my expectations. The engine was quiet, but it didn't lack power, the ride was smooth, even for a sports version where the suspension is usually stiffer, but in this case it gave the driver every support and comfort one could ever wish for. In my case the car sported several extras, among them the cruise control, it was amazing, almost doing the driver out of a job, breaking when the car in front started to travel at a slower speed, and even stopping in queues without the driver's input. There are so many extras that one could add to this very special car, but even without any of those niceties, the car is quite simply, amazing. This is by far the best car I have ever owned and my previous cars include various BMWs. I am getting almost 37 miles to the gallon and I am very impressed with the performance and the build quality. Well done Jaguar. Everything we expected. Screen technology, e.g. media and sat nav, easy to use. Full parking package worth the extra. The Jaguar XE is almost a perfect car. Which is high praise to my mind as no car is actually perfect. As per the Auto reviews, the ride and handling are truly amazing. The interior is well put together and the electronic safety aids are brilliant. Essential options are 14 way seats gives you lumber and side bolster and seat squab/leg support extension. A reverse camera option as due to the beautiful coupe like shape rear visibility is restricted. Power mirrors and the underrated blind spot monitor option. I have several other options as well, the only down side being you can end up spending too much! However I am really enjoying the upgraded Media ICT Pro. Superb sound and incredible 10.2in view screen for Nav etc. I am very pleased with the car to date. It is comfortable am has a solid feel and good roadholding. I am getting nowhere near the diesel economy published, about 47 mpg. I am not in favour of the stop/start operation. It cuts in too quickly and starts with quite a thunk. The car is quiet and controls easily to hand. I have come to like the drive selector and even the electric brake. Visibility out of the back window is not too good but the mirrors are good. I looked forward to this car and am not disappointed. I am very pleased with my new XE portfolio, it was very had for me to trade in my X-Type because it had the iconic Jaguar shape and was a pleasure to drive for 86000 miles, but I was tempted by the special offer available and now I am very pleased that I upgraded even though the IT on the car is probably a bit advanced for an old dinosaur like me. Only had the XE for a couple of weeks and am extremely happy. Drives well and is very comfortable. The finishes inside are superb and all the small touches work well without being OTT. At last a British car to take on the best of the German Big Boys. Very impressed with everything about this car, looks fantastic, drives like a dream and the sport suspension is comfortable.